Milan, 5th May 2016. In the course of the European Conference held in Milan last month, Alexander Otto, past Chairman of ICSC European Board and CEO of ECE, was awarded the distinction of “Trustees Distinguished Service Award“. Otto is the European number ten to receive this ICSC highest award, which only 9 other Europeans have received in the past, among which is Arcadio Gil. He was awarded in 2005 in Las Vegas together with the American Daryl Mangan and the Canadian Margaret Dixon. Milan, 20th April 2016. On April 19th The Round table about Outdoor was held in the MiCo, Milan Conference Centre, where the sessions of the ICSC European Conferencewere held and included several round tables. This one was dedicated to the outdoor future development of shopping malls and it was moderated byArcadio Gil. On the table were representatives of companies such as Stir Architecture , Haskoll or the Canadian GH + A company and also research experts from BNP , CBRE and others. London, 24th March 2016. Yesterday was held in London a new meeting of the Board of the European Shopping Centre Trust, the Foundation created by the first European Conferences, which aims to promote education and research in the pan-European sector. At the meeting, they analyzed agreements with variousEuropean universities and the BCSC Foundation were analyzed. Also there were approved next grants for young professionals to assist to the European Retail Property School and the exchange with the ICSC Foundation to attend the JTRiordan School in US. Miami, 30th January 2016. During the last two weeks Arcadio Gil has attended inspection visits and the final meetings of deliberation of the prestigious Viva Awards. This are the highest awards worldwide of Design and Development granted by the ICSCand that are decide among the finalists shopping centers each regional jury presents as the best in their continent: USA, Canada, Latin America, Europe, Mena, Asia, and Australia. This year the final meetings have taken place inPalm Beach in Florida US, and in them the Jury members have had a chance to meet the new CEO of ICSC, Bob Mc Gee, and ask him some improvements that would like to see implemented in future editions of the awards. Madrid, 16th December 2015. A New Edition of ReCon Latin America, the Conference and Trade Fairorganized by ICSC, will be held next april in Mexico. This is the only one for exclusively Latin American region that is held annually. LaSBA will be there again. In the following weeks and in May, LaSBA will also be present in Marcca, the Sector Conference Centers, organized by Acecolombia, the Colombian Association of Shopping Centers, that this year will be held in Pereira, the capital of the coffee region. Cannes, 24th November 2015. With renewed stand of attendees and an arguably more positive mood than in recent years, last week we celebrated Mapic 2015. 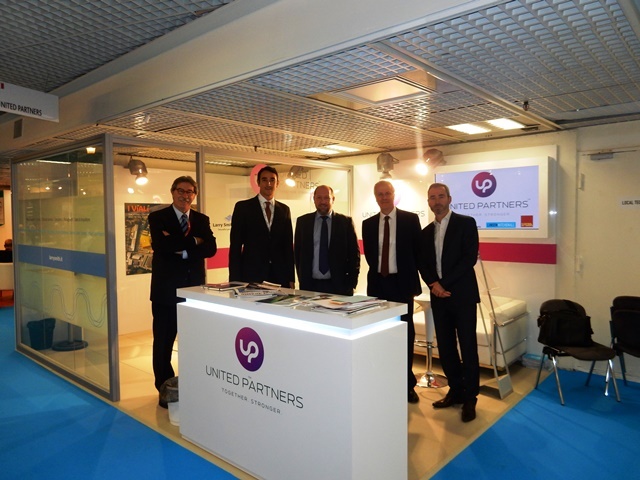 LaSBA was again present at the booth of United Partners, where it shared image and space with Italian partners Larry Smith Italy, English Lunson Mitchenall, and French RCG. Both individual and joint business were really intense throughout the three days. For the first time, AECC organized in collaboration with Reed Midem a specifically conference focused on the situation of the Spanish market with a successfully number or assistants. Leeds, 16th October 2015. 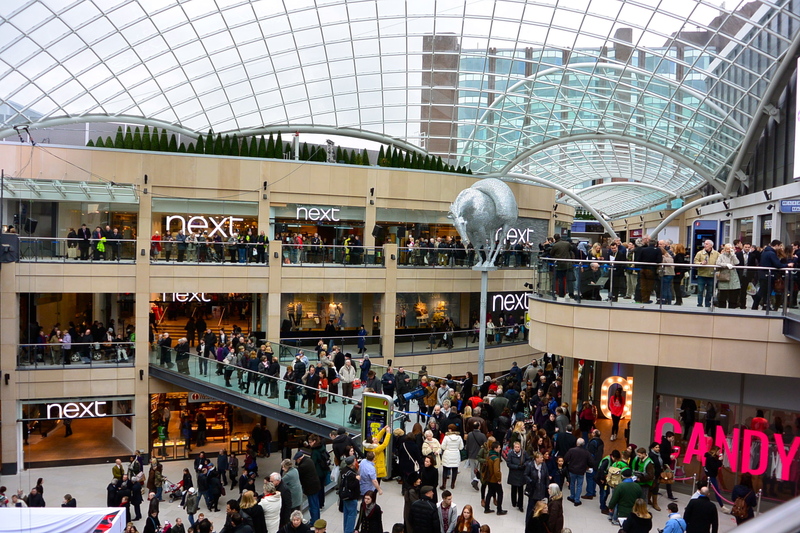 In the own shopping centre, placed in the commercial heart of the city center of Leeds in the North of England, it was held yesterday a educative session about the centre, which, with his 85.000m2 GLA, it has been the winner this year of theICSC Viva Award, the highest world honor to the best shopping centre..In the ceremony, in which the award was given, Arcadio Gil took part with other members of the Jury, and was responsible for explaing the reasons that in the field of the design and the urban integration the Jury evaluated to award the prize. Madrid, August 2015. One more year, LaSBA will be present with its stand in the Mapic, which will be celebrated in Cannes from 17th to 20th of November 2015. . He will share with its partners of UP United Partners, , the European alliance of consultans of the real-estate that nowadays has offices in London, Paris, Milan, Moscow, Lisbon and Madrid.Two weeks before LaSBA will be also present in the II Forum of Shopping Centres organized by the AECC and that will be celebrated in thePalace of Linares in the Spanish capital. And at the beginning of OctoberArcadio Gil will be present in ExpoReal, the European trade fair for real estate that is celebrated every year in Munich.